The SW1 Scuba is a really cool and affordable diver watch. Dimensionally the watch has a well proportioned brushed 316L steel case measuring 44mm x 17mm. 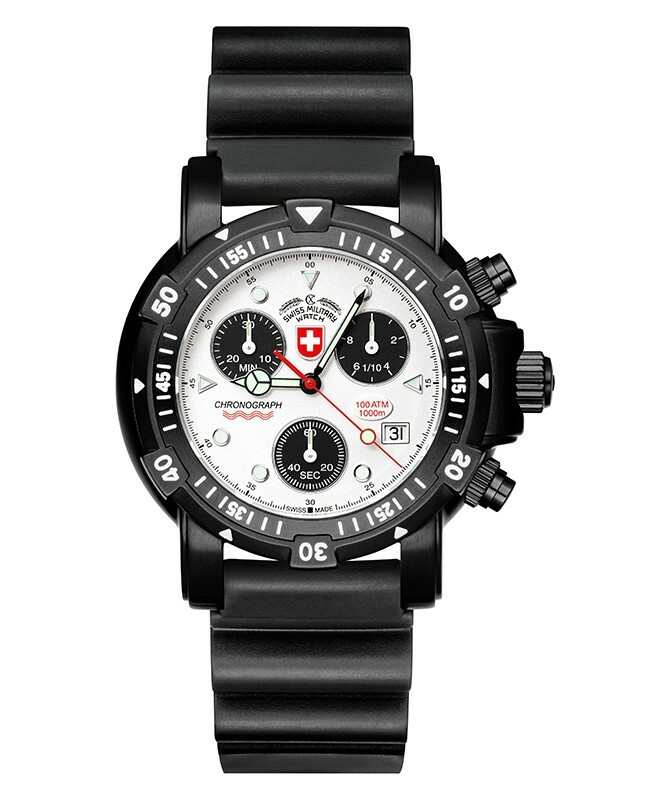 What makes this timepiece so appealing is the distinctive silver dial with contrasting sporty black sub counters. Other details include a rotating bezel, oversized pushers/crown, anti-reflective sapphire crystal lens, black rubber strap and water resistance to a depth of 1,000 metres. Functionally the watch features hours, minutes, seconds, chronograph timers and date facility. 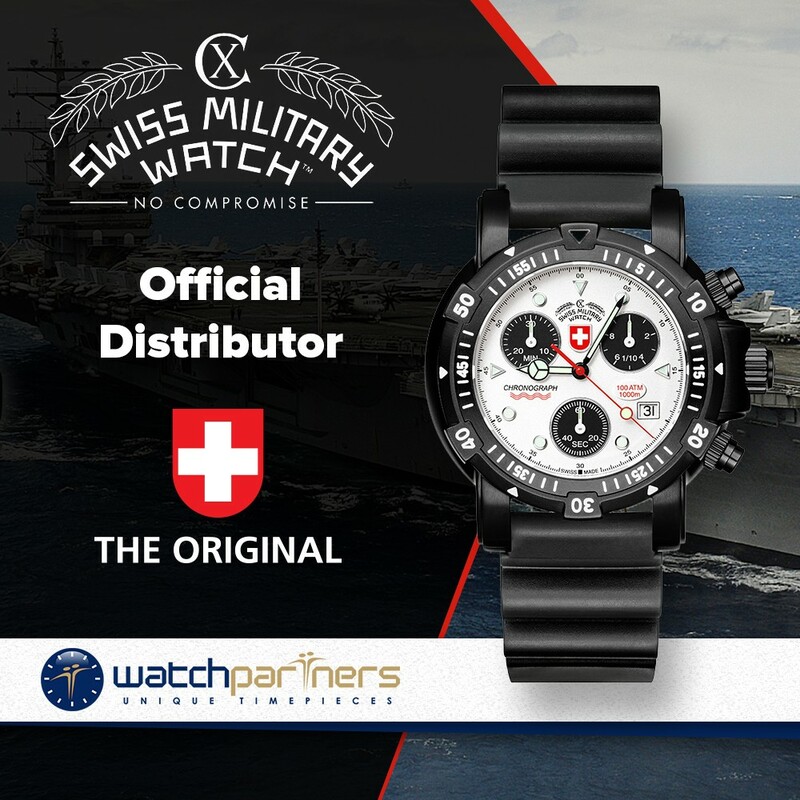 Powering the watch is Swiss made ETA G10.711 quartz movement.